If you know me, and you know what I like, then you know that I like Buffalo Trace. The distillery has its act together. From Eagle Rare to Elmer T. Lee, you know a Buffalo Trace bourbon from first sip! Sadly, as a bartender, I rarely serve this phenomenal bourbon to my guests – either because they hadn’t heard of it, or the price point can be a little off-putting (from $8 to $12 a pour, or as much as $50 a bottle). But with Rock Hill Farms, you get what you pay for: a superior Kentucky Straight Single Barrel whiskey! Unlike some whiskeys, the bottle is as beautiful as the stuff inside. The bottles are stylized decanters with faux gold leafed horses on the face that makes them as worthy of the bar shelf as a fine vase is worthy of a china cabinet. I mean, just look at it! And, as I mentioned before, the bottle is only the beginning…. On nosing, I am surprised to pick up very little ethyl alcohol. Bourbons of this proof and higher tend to warn you of their potency right off the nose. Instead, I am greeted with walnuts, black pepper, dark chocolate, and marshmallow. “Based on the nose alone, this will either be a disaster or a heaven-sent” , I think to myself. According to the distillers, Rock Hill Farms is a rye recipe. Also surprising for me, since I’m not a rye guy. There is very little spice kick that is typical of some of the other rye recipes on the market. There is a tingle, but it is pleasant – not punishing. The first sip is rich with sweet corn. You cant help but smiling to yourself when it hits your palate. It finishes lightly with vanilla, cherry, and oak in a back and forth dance that begs you to take another sip! There are a few fruit notes that are reminiscent of a mild sherry, so there is no shortage of fine flavor here. Buffalo Trace has consistently produced great whiskey, and that holds true with Rock Hill Farms. I give Rock Hill Farms an A+. This is a must have! Rock Hill Farms has set the standard for other bourbons of this proof and blend. Listen, I dont hand out A+ for any old shoddy whiskey. This is a discerning palate, here! And when I say that you need to get your hands on a bottle, do so, taste it, and come back here to thank me in the comments section! So what do you think? Have you tasted Rock Hill Farms? Leave us a review below with your own thoughts and tasting notes! P.S. – I have only recently had the pleasure of touring Buffalo Trace. If you haven’t been, get thee to the rickhouses ASAP! The distillery is located at 1001 Wilkinson Blvd. in Frankfort, Kentucky. You can give them a call at (502) 696-5926 for tour hours and rates. Tell them that Bourbon of the Day sent you! I purchased a bottle the other day as I am on an email chain for limited release bourbon. I love how smooth it is for 100 proof, although One double pour dry warmed my skin to almost sweat. I will save this for the fall and winter occasions. Woodford Reserve is my go to bourbon but I like to branch out and taste other bourbons. Love the bottle! I may have to refill it with some other bourbon when it is done! I purchased a bottle based on your ratings, try to taste all of your “A” bourbons. This was a little difficult th get , I live in Suffolk County, Long Island, NY. It was $60+ tax , so a little expensive. But have a mission to try your list. It is smooth& the bottle is beautiful. I like Buffalo Trace & higher proof bourbons for sipping. This fits the bill. Still given price point , prefer Eagle Rare, Old Weller 107, if I can find it. Also, for the money Old Grandad 114 can’t be beat! 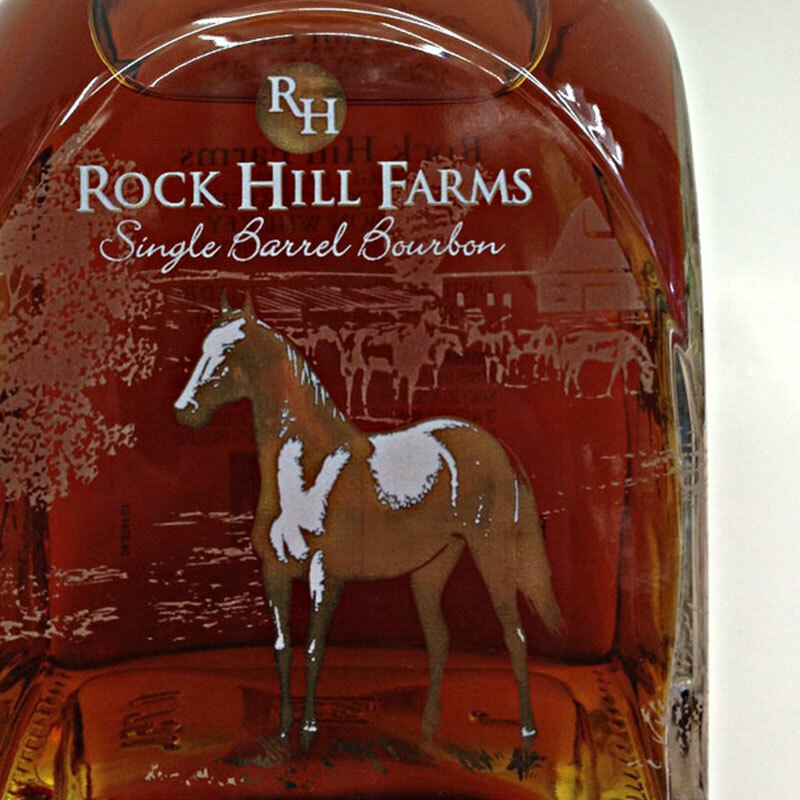 I would like to purchase 2 bottles of the Rock Hill Farms Bourbon as shown at the top of this online page. Where can I get or can I order it from this web sight?